As much as we all love Pokémon, I don’t know if we’ll ever see an official Android version. With that in mind we thought it was time for a list and we decided to do one based on Monster Catching games for Android. There are quite a few card-based battling games out there, but we narrowed it down to 4 of the best. 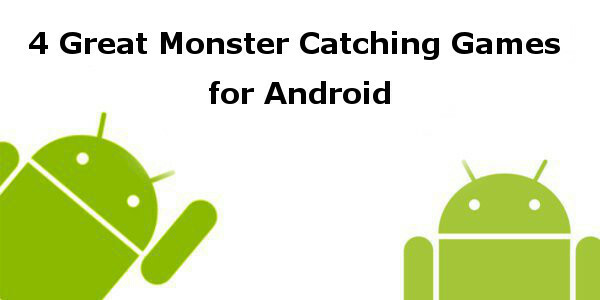 Without further ado, we proudly present our picks for the best Monster Catching games for Android. Beastie Bay is Kairosoft’s entry into the Monster Catching genre, and as you might expect it’s pretty damned awesome. 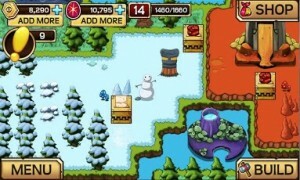 Beastie Bay puts you to work building an island paradise and catching monsters. You can battle your monsters in true Pokémon fashion, but you’ll also have to house them and train them to get them in top condition. As a fan I think it’s one of Kairosoft’s best games regardless of genre and it’s a lock for our top spot. You can pick up Kairosoft’s Beastie Bay for free on Google Play. Terrapets doesn’t let you catch monsters per say, but you will catch and tame pets and use them to fight back against the monsters. The game puts you to work building a little wildlife reserve while you try to catch and tame creatures through cards. 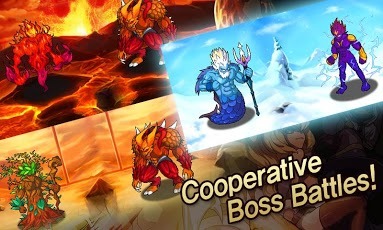 The battles are simple, but fun and there are over 70 different pets to collect and level up. If you want to catch a few pets you can head on over to Google Play and pick up CerebralFix’s Terrapets for free. Gamevil’s entry into the Monster Battling craze is an Android game by the name of Monster Warlord. The game lets you collect and battle hundreds of different element-based monsters with unique abilities. There are six different classes of monsters, boss battles, and you can even get social with things through the games “clans” feature. This one’s more card-based than it’s brethren, but it’s still a lot of fun and it’s free.